The most shocking song of Eminem's career is actually a tribute to his mother. 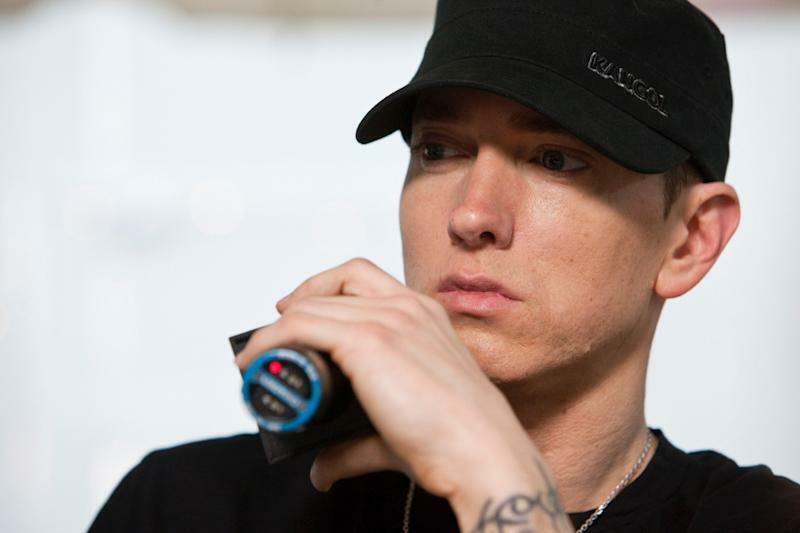 On "Headlights," from Eminem's "MMLP2" album, the rapper offers a mature, sincere apology to his mom, Debbie Mathers, with whom he remains estranged. The title "Headlights" is a reference to their last meeting. As she drove away, he became fixated on the headlights of her car as he coped with feelings of "overwhelming sadness," he raps. On the song that features .fun singer Nate Reuss delivering the chorus, the Detroit rapper quickly apologizes for dissing his mother in songs like 2002's "Cleanin' Out My Closet" in which he calls her a "selfish b-tch" he hopes would "burn in hell." In 1999, Debbie filed a $10 million lawsuit against Eminem, accusing him of slander and settled for $25,000 in 2001. "I went in headfirst, never thinking about who what I said hurt … My mom probably got it the worst," he raps in his opening lyrics. Later he adds, "But I'm sorry mama for 'Cleanin' Out My Closet,' at the time I was angry," and he adds that he has removed the song from his set list. "That song I no longer pay at shows and I cringe every time it's on the radio," he says on the recording. Eminem refers to a few incidences from their tumultuous past, getting kicked out of the house on Christmas Eve, constant fighting, and his younger brother Nathan getting taken to foster care. He regrets that his mother has not been involved in children's lives. But he makes it clear that the song is about making amends, rapping that he hates their dysfunctional relationship. In his most humbling confession, he acknowledges that his mother wrongfully endured the brunt of the blame for his tough upbringing. "Now, I know it's not your fault, and I'm not making jokes," he raps. He adds that he does not harbor any bad feelings: "But ma, I forgive you, so does Nathan yo." He even gives her credit for her efforts to raise him as a single parent. "All you did, all you said, you did your best to raise us both," he says. "Foster care, that cross you bare, few may be as heavy as yours. But I love you Debbie Mathers, oh what a tangled web we have." Eminem holds on to the memories of the last time they saw each other. Debbie came to his house as he, Nate and a woman were leaving to get something to eat. "And I'm mad I didn't get the chance to thank you for being my mom and my dad," he says. "So Mom, please accept this as a tribute I wrote on this jet." In the final verse, he discusses mortality, saying that should the plane crash he was OK. "I am not afraid to die," he raps. It sounds like the formerly troubled rapper is experiencing his longed for Recovery.